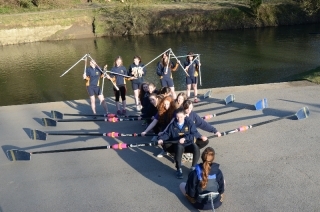 Durham Amateur Rowing Club has launched a fundraising campaign to buy a new eight for the Junior and Women’s squads. The idea is for sponsors and supporters to buy “pieces of eight” – riggers, seats, shoes, even the bowball, to help meet the funding gap of £7000 – before the new boat is delivered. The eight is needed if the promising rowers are to compete at regional and national regattas this summer. At our own DURHAM HEAD we won 9 events from age range J14 to 18 and some senior events. At Tyne Head the J18 Boys won J18 8’s ( beating our club senior 1st 8), also J184+, IM24-, J164x- Girls won WNov4x+. The WJ15 girls entered a novice 8 and were only narrowly beaten by Newcastle University in their first race (decisively beating all the Durham colleges). Overall juniors were winners in 5 of 7 events entered. At the Yorkshire Head, the Juniors won 7 events, MJ18 8s (beating the 1st 8), MJ184+, MIM34X+, MNOv2x, WNov4+, MJ161x, WJ154x+ only our elderly Auntie Betty, coxed 8 boat, put a damper on things. 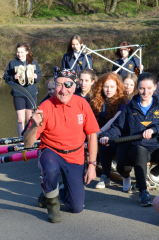 Alan explained, “ the girls J15 8 rowing in Novice 8’s were only beaten by Leeds University and beat many WIM38s. At the end after using the elderly ‘Auntie Betty’, the boat had about 4 inches of water in it. It is their success, after overcoming the old leaky boat which augurs well for the future provided they can use a boat that does not leak. 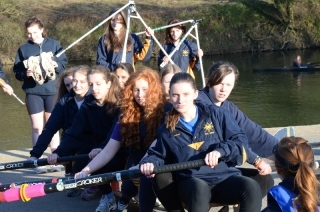 A new Janousek 8 would be ideal for them to be our first girls 8 entry into the National schools regatta in May. 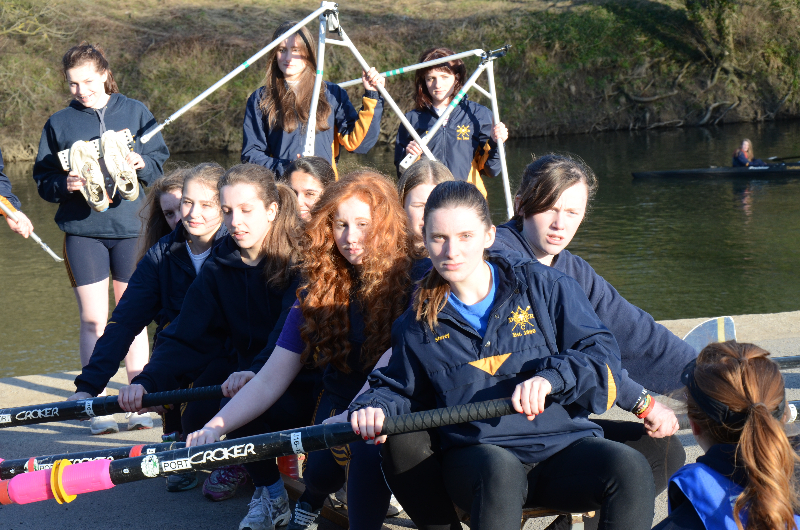 Successful boats were MJ164x-, WJ164x-, Mj162-, WJ152x , MJ161x, MJ151x and MJ141x. If you would like to buy any piece of an eight to enable our Junior team to achieve their potential, please download the following form. This entry was posted in Club News on April 2, 2013 by Andy Jaggard.